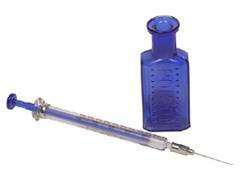 Most people who take insulin in order to manage their diabetes use traditional needle-and-syringe injections. But this method can be uncomfortable and inconvenient for some, and many may be unaware that there are multiple alternatives to this method, in addition to devices that aid in insulin injection. Currently available methods for administering insulin include insulin injection aids, insulin pens, insulin jet injectors, insulin infusers, and external insulin pumps. Injection aids can make the injection process easier because they provide the user with syringe holders and stabilizers, as well as push-button systems for administering insulin. These may take the anxiety out of insulin injections for some by making the process less painful and more automated. Insulin pens can be convenient for those who need to carry insulin without calling attention to their condition. They use short, fine needles and a dial to adjust the amount of insulin to be administered. Insulin jet injectors use a targeted blast of pressurized air to send a fine spray of insulin through the top layers of the skin, and may be helpful for people who dislike needles. More permanent options are available too. Subcutaneous infusion jets, or insulin infusers, use catheters made of hollow, flexible tubing inserted just under the skin, and insulin is injected into the catheter rather than the skin. The most permanent method currently available is the external insulin pump, a small pump worn around the waist or carried in a pocket, which delivers insulin at set times or according to user input via a small needle or a catheter placed under the skin in the abdomen. There are some risks associated with each of these methods. For example, if an insulin pump stops functioning and this goes unnoticed, hyperglycemia or ketoacidosis may set in without warning. In addition, certain injection methods may have increased risks of infection, irritation, or faulty functioning. Approaches under development include implantable insulin pumps, the artificial pancreas, insulin patches, insulin inhalers, insulin pills, and buccal sprays. Implantable insulin pumps work similarly to external insulin pumps, but are placed under the skin in the abdomen. 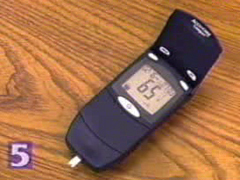 Regular dosing can be programmed, and a remote control can be used to deliver extra doses at mealtime. The pumps must be refilled every few months, and regularly checked for proper functioning. The artificial pancreas is another insulin delivery method that is being developed, and will likely involve the implantation of a small device that can create or administer insulin from inside the body, or the use of chemical or genetic therapies that can cause cells in the body to begin producing insulin. Other methods in development are considerably less invasive. Insulin patches are being designed to work similarly to nicotine or birth control patches, and provide continuous low-dose insulin through the skin. The delivery of insulin through the skin can be a challenge, so it is aided with sound waves or electrical current. Inhaled insulin delivery systems involve administering insulin through a spray or dry powder that can be inhaled through the nose or mouth. Serious side effects have not surfaced during studies, but it will be some time before the long-term safety of inhaled insulin can be verified. Insulin pills are being researched as well, but there are challenges to this process because digestive fluid can cause insulin to dissolve before it can enter the bloodstream. Buccal sprays are under development; they deliver a mist of liquid insulin to the inside of the mouth, where it can be absorbed by the tissue of the tongue, mouth and throat.